When Trefloyne was a working farm “The Byre” is where the animals slept, this room is wonderfully quiet and peaceful for guests. Keeping some of the original features of the barn and adding some modern decor, the transformation resulted in a cosy, modern country room. 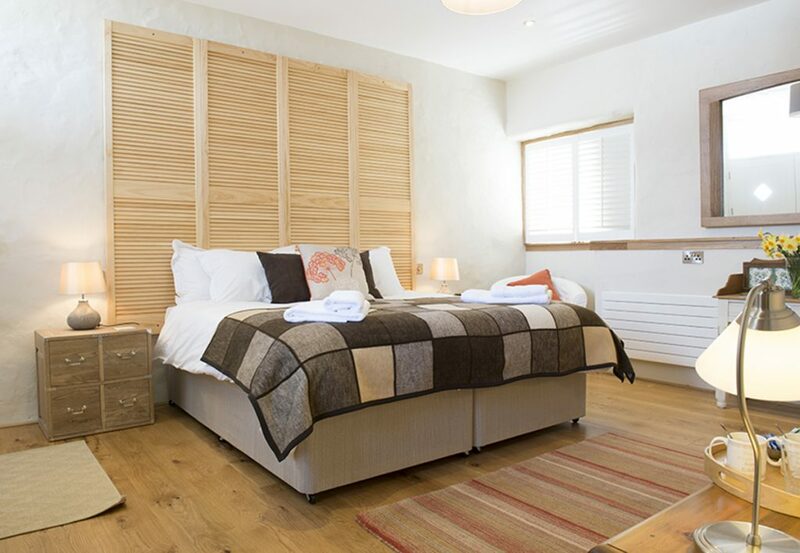 The beautiful spacious room offers a luxurious king-size bed to sink into, spacious walk in shower and bath in the silver & copper en-suite.